The Saudis and other OPEC members agreed that oil would be priced in dollars (the “petrodollar”) and the dollars would be deposited with U.S. banks so they could be loaned to developing economies who could then buy U.S. manufactured goods and agricultural products. This would help the global economy and help the U.S. maintain price stability. The Saudis would get more customers and a stable dollar, and the U.S. would force the world to accept dollars because everyone would need the dollars to buy oil. Now, almost 50 years later, the entire arrangement is in jeopardy. 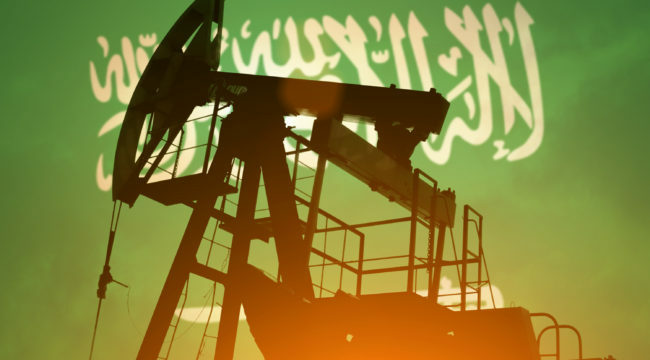 According to a recent Reuters article, the Saudis themselves are confirming that they may be getting ready to push the dollar to one side when it comes to setting the price for oil. Why? The reason is that the U.S. Congress is considering legislation that would expose OPEC members to U.S. antitrust lawsuits. Saudi Arabia has said that if that pending legislation becomes law, they will end the petrodollar deal. The result would be that oil could be priced in euros, yen, yuan or even gold. The result for the U.S. dollar and U.S. economy would be catastrophic. It may not happen, but the fact that such threats are being voiced in public should give you pause. The cracks in the dollar are already getting larger. The best protection for investors is to allocate part of your assets to gold as insurance against a collapse in the dollar.